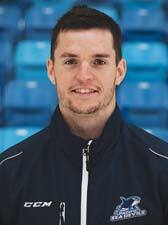 Born and raised in Victoria, Kelly grew up playing his minor hockey for the Victoria Co-Op AAA Association. Kelly played five years of junior hockey, including BCHL teams, Powell River and Cowichan Valley. After earning scholarships, Kelly had the unique opportunity of playing both CIS and NCAA Div.1 college hockey. This then led him to four years of professional hockey in North America and Europe. 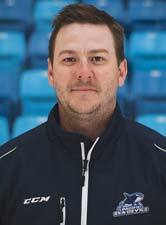 Kelly started his coaching career in the BCHL, spending three years as an Assistant with the Cowichan Capitals. Shields was head coach of the JDF Bantam A program where he led the program to an Island and Provincial Championship. He also served as a JDFMHA Coach Mentor and Skill Development Coach. Kelly has been actively involved as a coach and evaluator in the BC Hockey U-16 High Performance program at both the Regional and Provincial levels. Seeing a need for High Performance Hockey on the Island, Kelly started PCHA in 2012. The Academy had a highly successful inaugural season in 2013/14, which opened doors for the expansion to two teams and helped secure acceptance into the Canadian Sports School Hockey League (CSSHL). Kelly is the Director of Hockey and the Head Coach of the Midget Prep. He also oversees hockey operations. 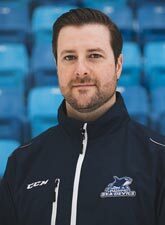 Currently in his second season as assistant coach of the BCHL’s Victoria Grizzlies, Greg has over 10 years of high level coaching experience. Greg’s the owner and head instructor of Vancouver Island Base HOCKEY. Greg’s playing career highlights including playing in 3 different IIHF inline hockey world championships with team Canada, capturing gold in 2008 and playing his junior hockey with the Victoria Cougars. Dan grew up playing minor and junior hockey right here on the island. Playing his junior career with the Peninsula Panthers of the VIJHL, he set the all-time record for career points. After juniors, Daniel continued on to Castleton University, playing four years of NCAA hockey and earning a bachelor’s degree in Business Administration. In his third year, he led the team in points, lifting the team to a top-3 ranking in the nation. Dan had the honour of captaining the team in is senior year and earned a NCSA All-American Strength and Conditioning Player of the Year and a CoSIDA Academic All-American award. After college he took his game to Europe playing two years of professional hockey in France. Upon returning to Canada, Dan received his NSCA CSCS and is now focused on helping young players both on and off the ice reach their goals. 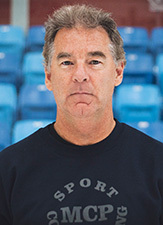 Marty Pearce has been a strength and conditioning coach for over 30 years. Marty received a Bachelor of Physical Education from the University of Alberta and a Masters degree from the University of Victoria. Marty works with athletes at all levels from minor hockey to the NHL.